In today’s fast-paced world, it takes a sharp foresight to notice the big opportunities. But it takes a genuine innovator to actually create them, truly expanding what’s possible in ways never seen before. At Merrychef, we’ve built our entire history on shaping the future, bringing breakthroughs to life to further expand your opportunities. As we now look ahead, we’re excited to work with you and continue our tradition of solving tomorrow’s challenges – today. Beginning with our very first high-speed ovens designed in 1950, we were proud to invent an entirely new method of cooking in kitchens and restaurants around the world. Ushering in a new era of rapid, on-demand ordering, we created ways to meet those guests’ growing appetite for fast, flavorful food – without ever having to sacrifice quality or consistency. 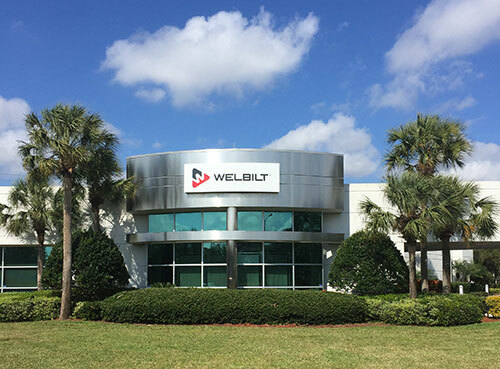 That’s the same promise we hold today, ensuring our customers never have to compromise when tackling daily challenges or planning for their future growth. It’s what drives us to keep our innovative thinking and solutions as fresh as the meals you serve, so you can rely on us to expand those opportunities right at the very heart of your business: the kitchen itself. And with their smart, simple sophistication, all of our products are designed to streamline your workflow. By keeping the entire space in mind when creating new solutions, we’re able to make equipment that’s not only streamlined and easy to use, but also truly connected to the rest of your kitchen. Backed by generations of expertise, we’ve maintained a deliberate, mindful perspective in order to keep on innovating far beyond the oven. It’s what allows us to serve tens of thousands of restaurants like yours, all across the globe. And while others may see only daunting challenges, we at Merrychef have never been prouder to continue discovering ambitious and exciting innovations for expanding your opportunities. GUILDFORD UK. The new Merrychef eikon® e2s has once again taken top spot after winning the Gold Innovation Award at the Commercial Kitchen Show’s Innovation Challenge on Wednesday 8th June 2016. The smallest, high-speed oven is the latest addition to Manitowoc Foodservice’s Merrychef brand portfolio and is the ultimate in accelerated cooking equipment. 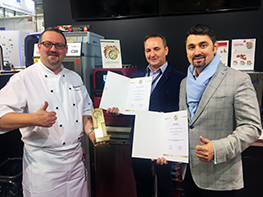 “Manitowoc Foodservice is thrilled to have been awarded Gold in the Innovation Challenge and it is fantastic that the new Merrychef eikon e2s has been recognised by the industry with such an aptly named award! The Merrychef e2s is the most innovative product that we have launched to date with performance up to twenty times faster than a conventional oven whilst producing consistent, high-quality cooking results enabling establishments the ability to deliver fresher and more delicious hot food to customers. Featuring easyTouch® technology with an icon driven touch screen, the Merrychef eikon e2s is simple to operate by any member of the staff in the kitchen. A USB memory stick can be used to transfer up to 1,024 different cooking programmes, to ensure menu consistency, especially by operators with multiple locations. This feature helps maintain the same quality of menu choices in each outlet, every time. Several design features make the Merrychef eikon e2s suitable for use in outlets where it will be installed front-of-house and is in constant use. Available in two exterior cool-to-the-touch options: Classic, featuring a stainless steel exterior and Trend, which offers a choice of two colour exteriors (red and black). The stylish design of the Merrychef eikon e2s makes it an aesthetically pleasing addition to any countertop. A merchandising panel is available on the ‘Trend’ model on the back of the unit should it be facing towards the customer. Designed for use within the hustle and bustle of food-to-go outlets, the Merrychef eikon e2s ‘Trend’ also features accessory storage on top of the oven. Operators can use this additional surface to store popular items which are in constant demand – from cups and cutlery, to condiments! With the fastest warm-up and cool-down times in its class, the Merrychef eikon e2s reduces downtime and improves ease of use. Having such a fast warm-up time means reduced wait times at the start of the day whilst the oven’s fast cool-down time means that cleaning can be done shortly after the last order has been cooked. Additionally, its seam-welded cavity and large rounded edges makes cleaning quick and simple. Measuring 620mm x 356mm x 595m m (H x W x D), the new Merrychef eikon e2s has the best-in-class cavity to footprint ratio (12” cavity in a 14” footprint). This ensures that the high-speed oven maximises available space and can fit on a standard 600mm deep work surface. To take this even further, an adaptor is available to connect two Merrychef eikon e2s standard power units to one 32A socket so ‘banks’ of ovens can be installed in busy outlets without a separate power socket for each unit. 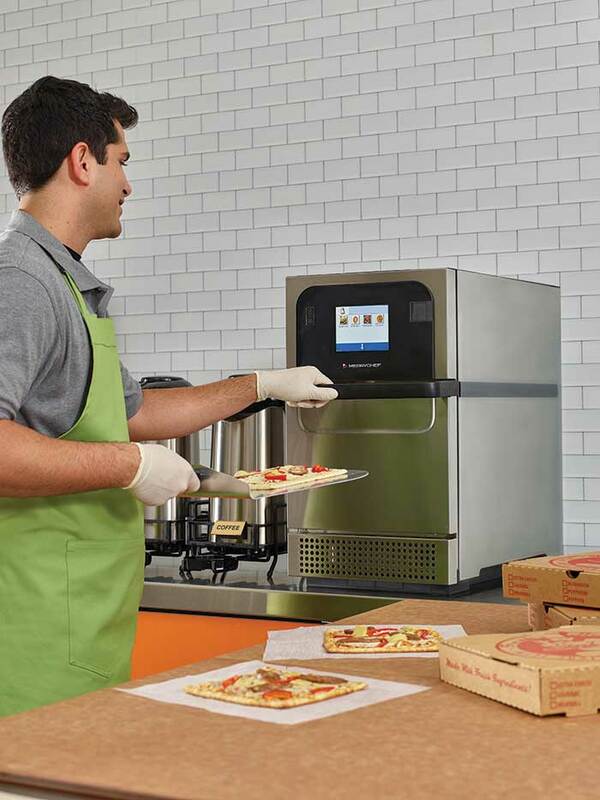 The new Merrychef eikon ® e2s is ideally suited for use in cafés, coffee shops, sandwich bars and delis – or any such outlet where menus, space, foot traffic or customers dictate a fast turnaround on food orders. The new Merrychef® eikon® e2s has scooped a prestigious design award from the Chicago Athenaeum, otherwise known as the International Museum of Architecture and Design. Dedicated to all areas of design from architecture, industrial and product design, the museum’s mission is to advance the public’s education about the value of good design and how it can positively impact the human environment. *As awarded by The Chicago Athenaeum: Museum of Architecture and Design. This semi-automated, non-stick Panini press attachment, easily removable from inside the oven for cleaning, flattens and/or generates grill marks on a range of products, including bread, proteins and vegetables, all while taking advantage of Merrychef’s rapid cook technology which produces high-quality food at speeds up to 15 times faster than conventional methods. Manitowoc has partnered with SUBWAY® for over 15 years in supplying Manitowoc Ice machines and Merrychef speed ovens for the last seven years. Merrychef’s latest innovation to the market is the eikon® e4s rapid cook oven. The new eikon® e4s delivers speed, energy efficiency and low operating noise. This new patented Planar Plume Technology creates even impingement sheets of air in rapid cook ovens which delivers quicker heat transfer, less microwave destruction, lower blower speeds and increased energy efficiency. Merrychef's new eikon series speed ovens offer an icon-driven touch screen operation enabling instant menu management with archive capabilities, Ethernet updates, operator training and service maintenance instructions.The easyToUCH™ technology ensures operators are never more than two steps away from cooking programs and is available in multiple languages, while MenuConnect® enables instant menu management and Ethernet updates via a standard USB key. Incorporating advanced easyToUCH technology in the eikon series offers unbeatable ease of use via an icon driven screen and MenuConnect software.